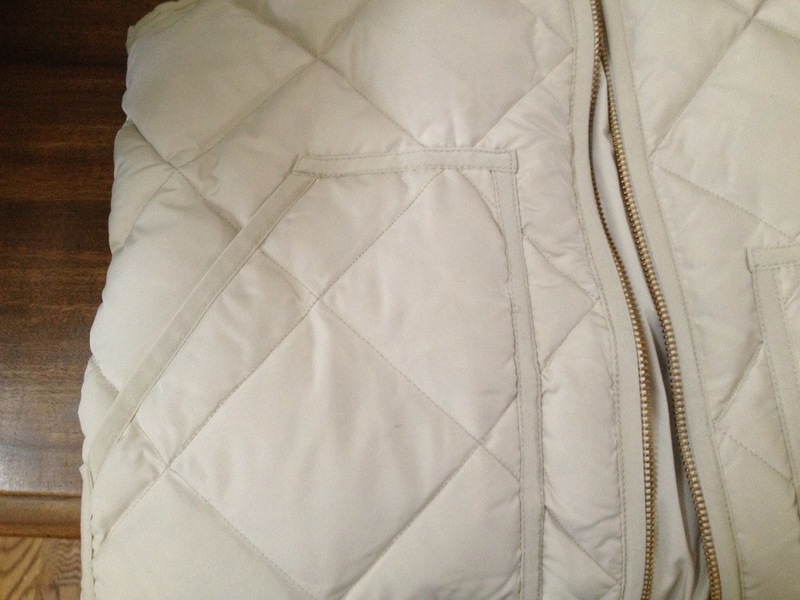 Material – both are made of 100% polyester, including the lining of the quilting. For some reason, I assumed the J.Crew version had down lining, guess not. 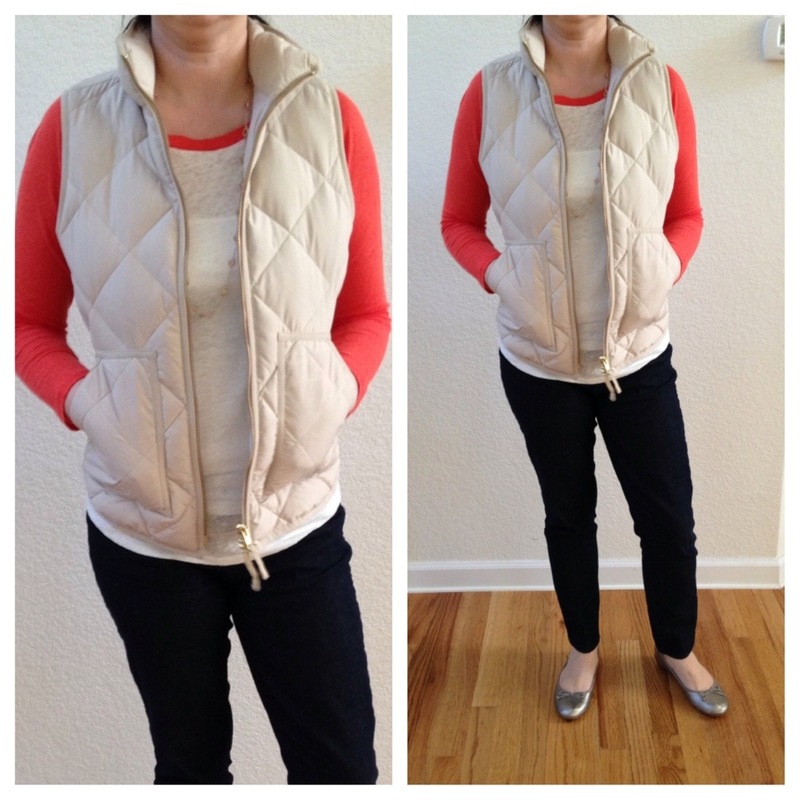 Thickness – the difference is most obvious in the thickness of the vests – the J.Crew version is thicker; this is a matter of preference depending on how cold it gets where you are. 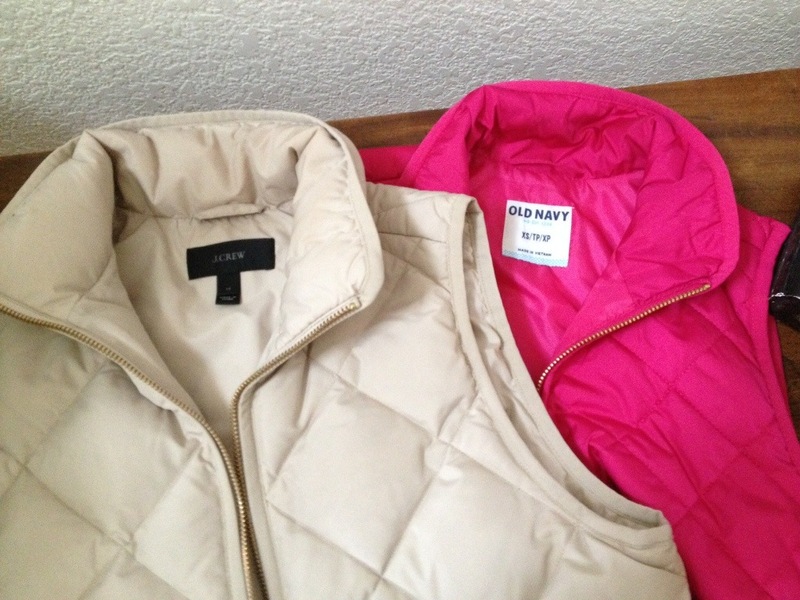 Hardware – the gold hardware in the Old Navy is more pronounced; the Excursion vest is a bit more subtle. 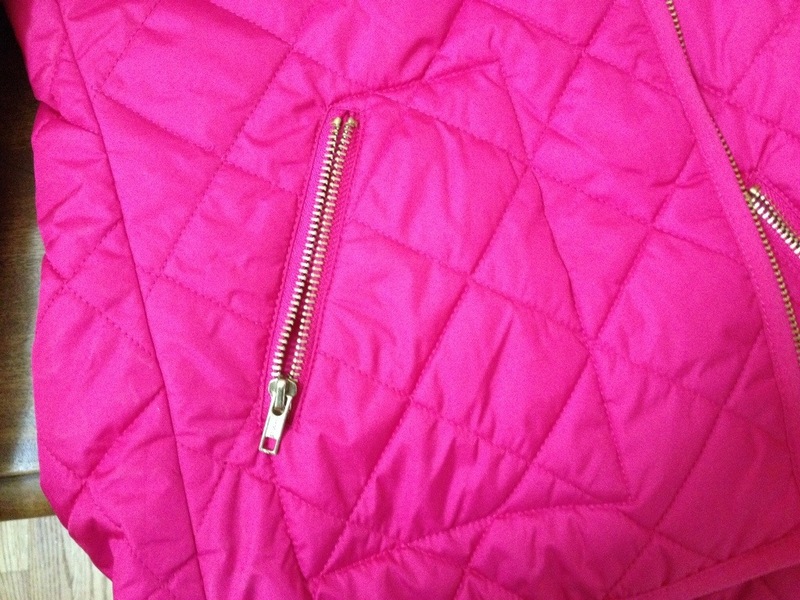 Also, the pockets are zippered in the ON version only. Sizing – I wear XS in both versions; they tend to run big in both. For reference, I wear a Small in the J.Crew Tippi sweater. Colors – the pink in both versions is very vibrant – the pics above and below are coming off more berry in the Old Navy version but it’s a true bright pink. Old Navy carries it in navy, black and beige as well while J.Crew has more color options. Price – the J.Crew version is regularly priced at $120 and Old Navy at $45; both have promotions offered all the time – ON currently has 25% off entire purchase online. Overall, if a thicker vest is your preference and price is not a concern, then I would definitely recommend the Excursion vest. 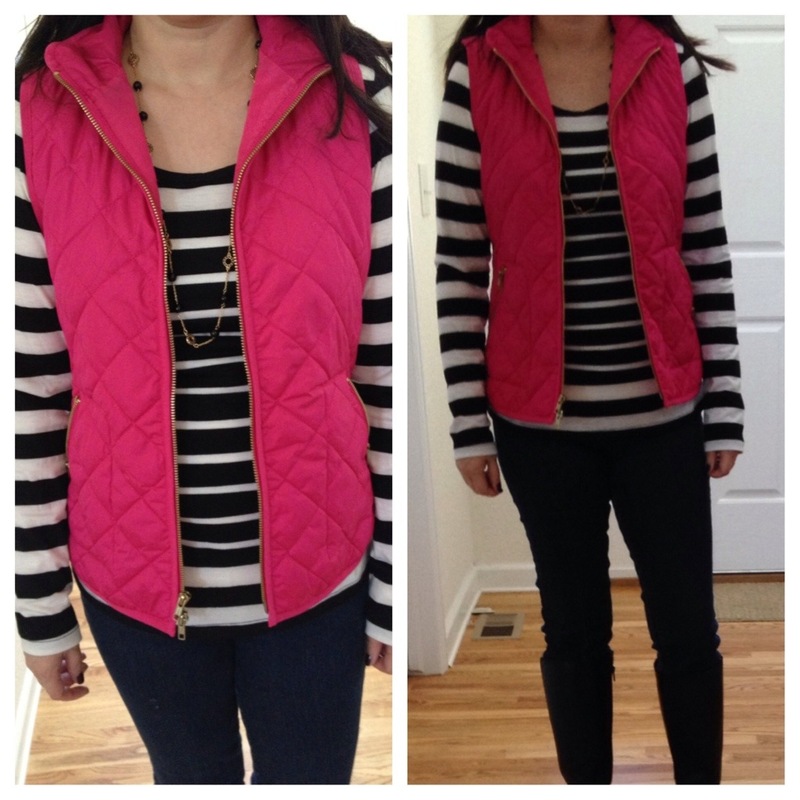 If you’d rather not spend too much on this layering piece, I would highly recommend the Old Navy version. I love the pink one I bought and may go back for the black one too. These are so versatile and have been a perennial favorite of mine winter after winter – see how I’ve styled both versions so far this year in the pics below. That’s it for now – enjoy your week!